Is an international network of post-apocalyptic artists from all over Europe. 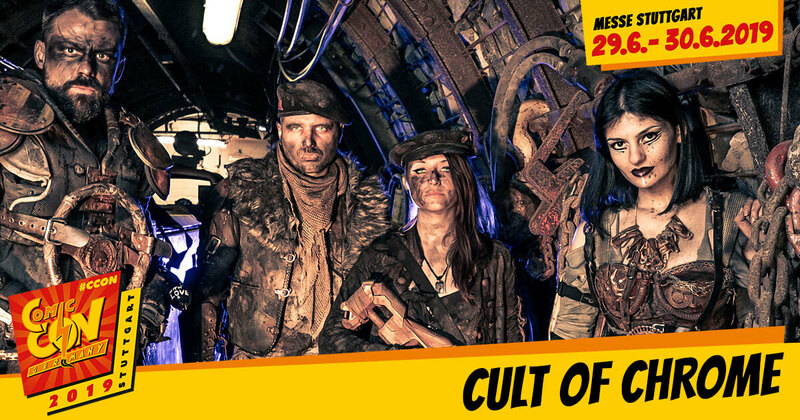 With over 100 members, vehicles and large superstructures, the Cult brings the Wasteland and Mad Max spirit to every event. The foundation stone for this network was laid at CCON | COMIC CON GERMANY 2017, after a huge interest on the part of guests and photographers became noticeable (founder Björn also won the Cosplay Contest there).